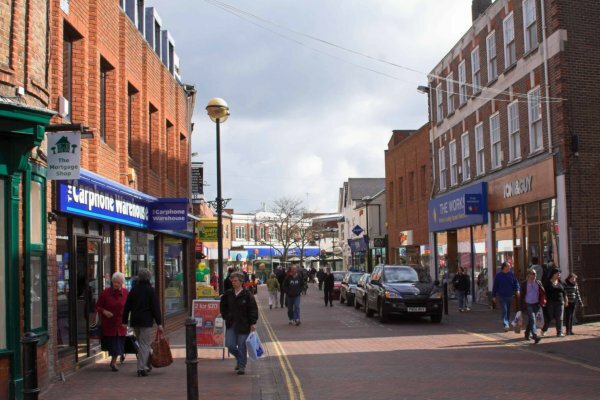 Aylesbury High Street @ High.St - High Street shops and High St businesses. 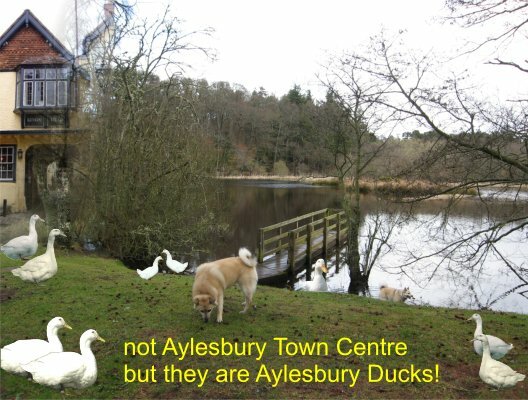 Photo copyright Ray Ghent Large Google map of Aylesbury High St. The centre of this picturesque old market town is the market square headed by the County Hall. Behind is the historic King�s Head coaching inn (also a National Trust visitor attraction and conference venue). Market Square is pedestrianised, making for a friendly and safe shopping environment, and a market is still held here on 4 days each week. Running across the top of the Square from West To East is the High Street and we list these shops first. We then work our way across, Temple Street, Kingsbury, Buckingham Street and Cambridge Street (all to the North of the High Street) and then to the shops on the South side: The Friars Square shopping centre, Cloisters Indoor Market, Market Square and the Hale Leys shopping centre. It is said that Roald Dahl drew his inspiration for his children's stories from the area and the town commemorates this with a Children's Gallery dedicated to the author in the town's award-winning County Museum. In the 19th Century people came from miles around to the town's stock market, which became well known for the famous (and tasty!) Aylesbury Duck. Nowadays, the best place to find them is at the Oak Farm Rare Breeds Park.